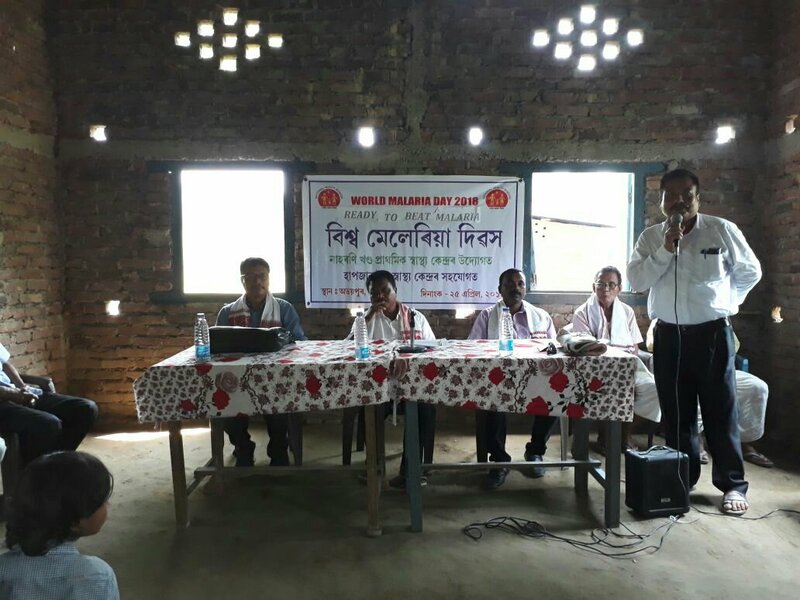 On account of world maleria day, a day long program was organised by the joined hands of Naharani block public health centre and Hapjan sub health centre in Avaipur gaon on 25th April. Chairperson of the meeting was Hiranya Gogoi. The meeting was graced by the presence of subdivisional medical and health officer Doctor Biswajit Baruah, Jiten Gohain from the department of maleria naharani block PHC and Prasanna Lal Lahon. Earlier an awareness rally was brought out by the health officials of Namrup, Naharani and Hapjan along with the ANM nurses, Asha workers and students from BVFC H.S School. After demonitisation the ATMs of Namrup often used to remain out of cash. Every people of Namrup use to face great problem due to such unavailability of cash. During that time I just thought to do something to solve this problem. Likewise I wrote a post in Facebook elaborating the problem. I shared the post in my timeline and also to the Namrupian facebook closed groups like Namrup Nostalgia, Namrupian etc. In my post many people from Namrup showed there frustration towards the bank authorities. One person named Ankur Handique then inboxed me and asked about the whole matter. I explained him everything and mailed the whole matter. He helped me to complain the matter to RBI. After the complain I received a mail from CEPC (Consumer Education and Protection Cell) explaining me about the action they had taken and also told me to write them if again such problem arise. So being a common citizen of Namrup I just tried to take advantage of citizen journalism and solve the problem faced by the people of Namrup. It’s time for each and every people to get aware and follow the paths of citizen journalism to develop your city,town or village.